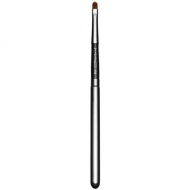 Brush Roll M.A.C./Large is a M.A.C resistant bag and brush roll for makeup brushes. 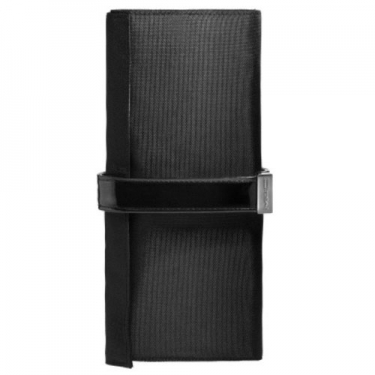 This black nylon large brush roll with a silky reflective interior and black faux patent handles and straps. Features 18 brush pockets, 1 zipper pouch & 2 small open pouches on the other side.